Is your child planning to take the SAT? 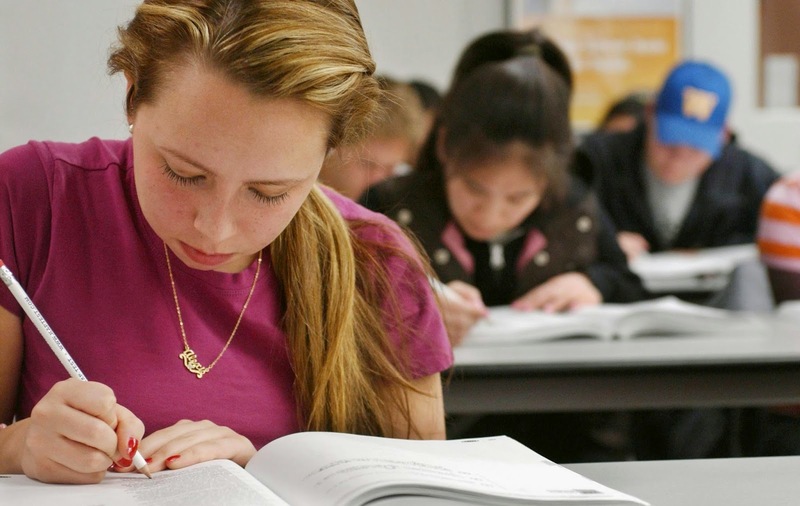 The SAT and ACT are significant sources of anxiety for many students. Historically, colleges put a great deal of importance into this one test; in recent years, however, many colleges have minimized the weight of test scores in favor of emphasizing each student’s academic record and rigor of course selection. In fact, more and more colleges no longer require the SAT or ACT, but for those students who want to attend selective colleges, it is a good idea to become familiar with the test, do some practice, and get some tutoring as needed to maximize scores. The SAT will go back to two sections, each worth 800 points: the reading, writing, and language section, and the math section. The length will go from 3 hours and 45 minutes (including 25 minutes for the required essay at the beginning of the test) to 3 hours even (plus 50 minutes for the optional essay). The essay will be optional and at the end of the test. The essay prompt will remain constant on every test, but the passage will vary. Students will analyze a passage, mirroring what they might do in college. They will have 50 minutes to write the essay instead of the current 25 minutes. There will no longer be a penalty for wrong answers. Exam questions will be research-based and grounded in real world context and applications. The content will more closely resemble what the students are studying in high school and what skills are necessary for success in college and in careers. Vocabulary will consist of words that are regularly used, leaving out obscure words. Scoring will include subscores for each section. The College Board is partnering with Khan Academy to offer personalized, free practice resources and explanations for all students, beginning in June of 2015. In advance of the Khan Academy program launch, practice questions for the redesigned SAT and PSAT/NMSQT are now available. The content will be changed in the same way as the SAT, including more questions relevant to high school, college, and career readiness. The length will jump from 2 hours and 10 minutes to 2 hours and 45 minutes. Scores will be reported on the same scale as the SAT: 200-800 points for each of two sections. A new PSAT designed for 8th and 9th graders will be launched in October, 2015. The new PSAT for 10th graders will launch in February of 2016. Finally, we want to re-emphasize that colleges typically place the most emphasis on grades and course rigor. Students should be spending most of their academic time with school work. In addition, the SAT has competition. Note that recently, slightly more students in the country have been taking the ACT than the SAT, and colleges accept and respect both tests. Research has shown that of students who take both the SAT and ACT, 1/3 do better on the SAT, 1/3 do better on the ACT, and 1/3 do the same on both. So to maximize your prospects, it is best to prepare for and take both tests. We even recommend taking each test twice, once in the junior year and once in the senior year, to achieve the best possible results.